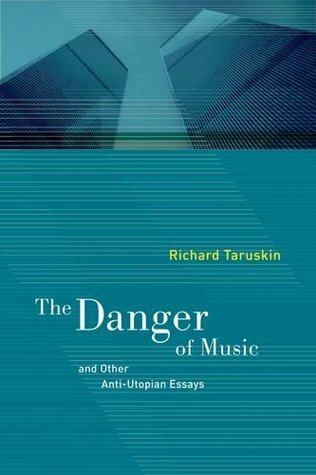 I’ve finally got round to reading the great Richard Taruskin properly. Among his wide-ranging themes, in this page (under WAM in Menu), I discuss his seminal comments on early music, informed by my own humble experiences of the scene. As he links it with modernism, placing it firmly within the context of our contemporary culture, this is no mere niche topic, it’s profound, essential reading on culture in modern society— and with maestro-baiting galore! Even if one disagreed with every word of the book, the writing is always a joy to read. This entry was posted in composers, drôlerie, ethnography, language, WAM and tagged Bach, Mahler. Bookmark the permalink. Thanks! I suspect my little intro could drown in a sea of such well-informed comments. The journal looks useful. I note that in The danger of music, T’s main fulminations are against later early music—next I need to immerse myself in Text and act. On medieval music, I just added a link to Sherman in my Sappho and Hildegard post—of course the earlier one goes, the more knotty (and intriguing) are the performance practice issues. And I like your cocktail party metaphor! The great Bruno Nettl is fond of this too, though not in your sense. No such parties in my diary, so may have to content myself with pub. Modern performers seem to regard their performances as texts rather than acts, and to prepare for them with the same goal as present-day textual editors: to clear away accretions. Not that this is not a laudable and necessary step, but what is an ultimate step for an editor should be only a first step for a performer. […] Once the accretions have been removed, what is to take their place. […] Nothing is allowed to intrude into the performance that cannot be “authenticated”. And this means nothing can be allowed that will give the performance, in the sense in which we first defined the word, the authenticity of conviction. For the first thing that must go in a critical edition […] is any sense of the editor’s or performer’s own presence…..We seem to have paid a heavy price indeed for the literacy that sets Western musical culture so much apart and makes its past available in the first place, if the text be so venerated. Is the text only an exacting responsibility? And if so, to what or whom is the responsibility due? Can the text not be an opportunity—for the exercise of imagination, the communication of delight, even the sharing of emotions?